Community Fruit Tree Harvest needs your help! 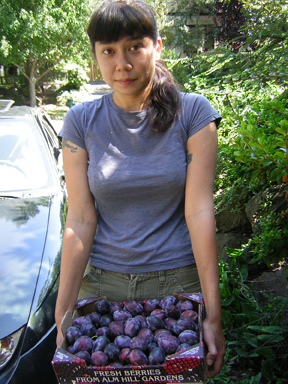 Our Community Fruit Tree Harvest is gearing up for the 2011 harvest season and we need your help! This is a great way to get to know your neighbors, share food with your community, and keep that beautiful, organic fruit in your neighborhood from going to waste! Harvest Leaders coordinate one to two harvests per week in their neighborhoods and make sure the fruit is donated to local food banks, shelters and meal programs. Mileage is reimbursed and fresh fruit abounds. Please see the position description for more details. To apply, submit a volunteer application and a short statement of interest to Molly at fruitharvest@solid-ground.org by Friday, July 8th. Please save the date for a Harvest Leader orientation on Thursday, July 14th, from 6-7:30pm. To RSVP, or if you’d like to volunteer but can’t make it to an orientation, please contact Molly at fruitharvest@solid-ground.org or 206.694.6751. 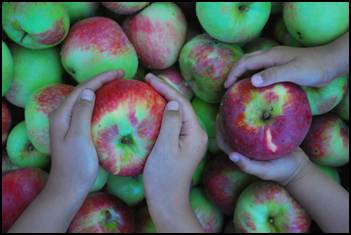 If you have fruit to donate, please contact Seattle Tilth’s Garden Hotline at 206.633.0224 or help@gardenhotline.org. Depending on where you live, they can connect you with us or one of the other fantastic groups harvesting fruit in Seattle! Fruit harvest wrapping up, thanks to our volunteers! North Helpline, Sandpoint Family Housing, St. James Cathedral Family Kitchen, U-District Food Bank, Downtown Food Bank, Mary’s Place, VOA Greenwood, Ballard Food Bank, Hopelink Shoreline, Providence Regina Food Bank, Family Works Food Bank, CAMP Food Bank, Food Bank at St. Mary’s, St. Martin’s on Westlake, Loyal Heights Community Center, Silvercrest Senior Center, Union Gospel Mission, and Wallingford Senior Center. It’s also been exciting to hear from past fruit donors who are harvesting their own fruit and making sure it gets donated. If you are interested in starting up your own fruit harvest effort, please see our free Fruit Harvest Handbook for advice! Thank you for all of your volunteerism this past season – scouting, harvesting, donating, and organizing – we couldn’t make the fruit harvest happen without you! A big thank you to Elaine Corets, Morgan Nomura, Jeff Clausen, Chelsea Davis, Kalila Jackson-Spieker, Steve Gall, BJ Hedahl, Frances Posel, Tracey Marsh, Steve Gisel, Marni Sorin, Barb Burrill, Jan Foster, Maureen DiGiacomo and Hillary Moore for helping to organize harvests and orient new volunteers. 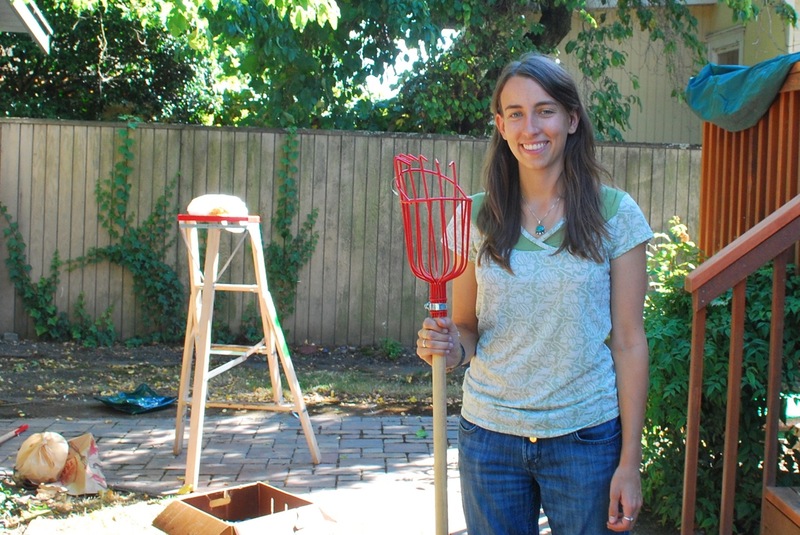 And special thanks to Sadie Beauregard who has coordinated the harvest over the past two summers! Sadie’s term as an AmeriCorps VISTA member with Lettuce Link is over. Thanks for all your work, Sadie! We’ll have another coordinator lined up in time for the next harvest. Community Fruit Tree harvest needs you! As of August 24, Solid Ground’s Community Fruit Tree Harvest volunteers have harvested 1,530 pounds of fruit – mostly apples and Asian pears. The fruit has gone to a variety of organizations, including Mary’s Place, U-District Food Bank, Ballard Food Bank, CAMP Food Bank, Providence Regina House Food Bank, Hopelink Shoreline and our Sand Point Family Housing. A big thank you to those harvesting, scouting, organizing and donating! For folks who are picking on their own, we’ve updated our Where to Donate fact sheet. For meals programs and housing units, it’s a good idea to call ahead and verify that they can process your donation. Note, few locations are open over the weekend – North Helpline is a good option for Saturday mornings. If you would like to assist with a harvest, contact Sadie Beauregard to get put on the harvest email blast list. Then just reply to the emails announcing a harvest or trees that are ready for picking! If you’re not comfortable getting things sorted out on your own but would like to pick, let Sadie know. We’ll get you set to pick and out harvesting. Make sure to let her know what you harvested, how long it took, where the fruit was donated, and how it went! Volunteers needed to harvest backyard fruit! 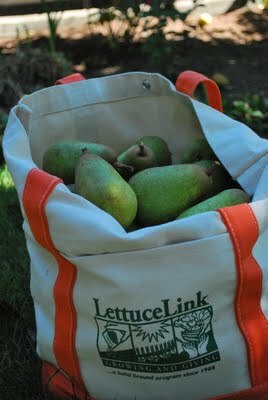 Lettuce Link’s Community Fruit Tree Harvest is gearing up for the 2010 season and we would love for you to harvest with us! Fruit is a valuable community resource. 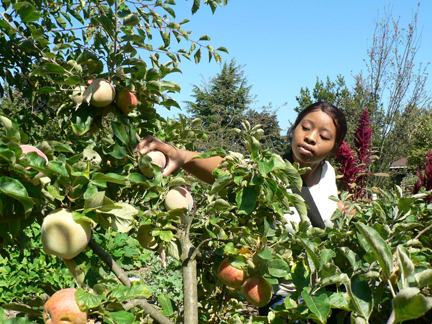 In 2009, Community Fruit Tree Harvest volunteers harvested more than 19,600 pounds of apples, plums and pears from Seattle fruit trees and delivered it to people with limited access to organic produce (through food banks and meals programs). Harvesting this fruit depends on significant community support. “Scout” trees in your neighborhood to see if they are ripe before sending volunteers to harvest. Harvest at scheduled work parties. Provide garage storage for ladders, picking buckets and/or harvested fruit. 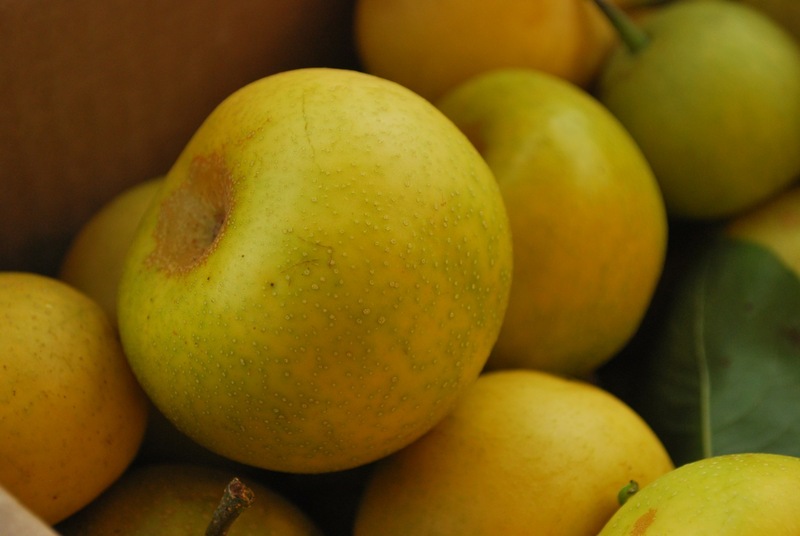 Deliver harvested fruit to food banks and meals programs. If you would like to volunteer, please attend one of our volunteer orientations and fill out a volunteer application. If you’re unable to attend an orientation, we’d still love to have your help! 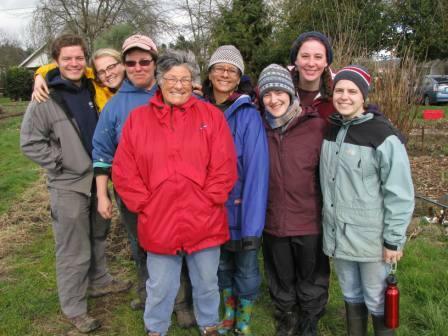 Contact Sadie at fruitharvest@solid-ground.org or 206.694.6751. 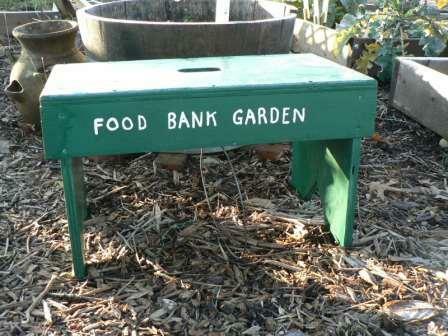 If you have fruit to donate, please contact Seattle Tilth’s Garden Hotline at 206.633.0224 or help@gardenhotline.org. The Seattle Times ran a great story today on volunteers helping to feed hungry people. Lots of good content, opportunities to join in the local movement, and coverage of our Lettuce Link program. Check it out!